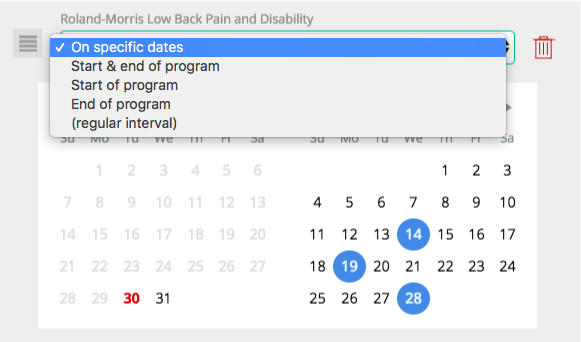 Physitrack allows you to not only assign multiple PROMs to a client, but also dictate when each one will be completed. Following on from our article on how to assign PROMs found here, this document is designed to walk you though how to bespoke the dates your client will complete their questionnaire(s). In the final assign window, you will see your selected PROM(s) at the bottom of the page. 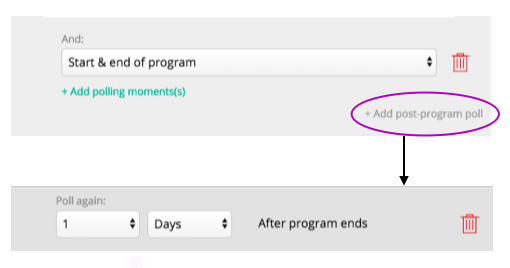 (Here you also have the option to delete or attach more PROM(s) should you wish to). PROM completed at start and end of program, according to dates specified at top of window. Note: Not available if PROM or PROM+Edu content only. PROM completed at start of program only. PROM completed at end of program only. PROM completed at regular interval as set out by practitioner (with day/week/month rhythm). PROM completed on individual days as set out by practitioner using the calendar indexing. Select 1 or more dates (as highlighted in blue) for PROM to be completed. 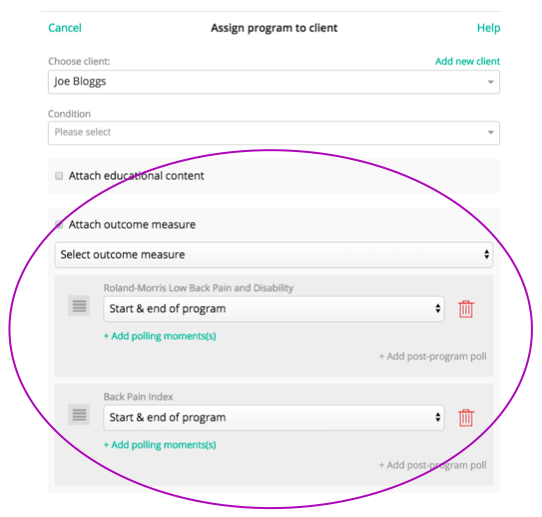 "+ Add polling moment" allows practitioners to make a combination of the above selection options.
" 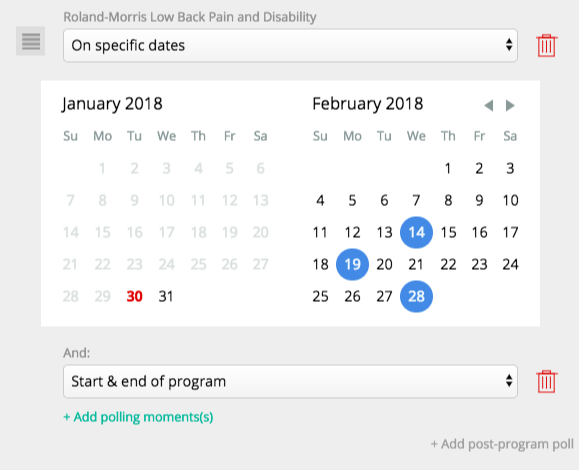 + Add post-program poll" allows a PROM to automatically be sent to a patient after the exercise program has finished according to the date specified in the drop down. Note: the access code will not change for the patient.